Just got back from Portland yesterday. It was an exhausting trip, filled with plenty of walking and foodie’s food. I had wanted to write this post either right before or during the trip, but a lack of sleep got in the way. However, I managed to catch up, somewhat, last night, so here I am. To start off with, at the beginning of this month, I beat Shin Megami Tensei: Devil Summoner 2: Raidou Kuzunoha vs. King Abbadon, an action RPG which has one of the longest titles of any game I’ve ever played. In terms of both gameplay and plot, it was better than the first Raidou game, which I beat earlier in the year. New features—such as the ability to summon two demons at once; better accessibility to the Gouma-den, where new demons can be fused; and a negotiation system which, despite its usual tediousness, is the best I’ve seen in all of MegaTen—were quite welcome, though some repetitive elements stood out as the game’s greatest flaws. By that, I don’t mean the reuse of much of the previous game’s assets, which I didn’t mind at all. Rather, what bothered me was the overdone recapping, and even more, the obviousness with how the story’s branches were handled. Every so often, roughly once a chapter, a character would ask a rhetorical, philosophical question that basically asked Raidou to choose between revolution and the status quo. The answers to these ham-fisted questions don’t matter until the very end of the game, and even then, there is one final barrage of inquiries right before the branching path is settled upon. Despite these nitpicks, Raidou 2 was a decent game, though hardly the best MegaTen I’ve played. A few days afterward, I finally finished reading a manga series which I had first sampled over fifteen years ago: Barefoot Gen. My first experience with Gen came with a copy of Volume 2, picked up cheaply at a certain bookstore in Philadelphia. Some years later, I picked up a used copy of Volume 3, but I didn’t buy any more of the series until last year, when I picked up the first and fourth volumes. Around then was when I learned that my older volumes were heavily abridged, and that the current edition, published by Last Gasp, is complete and uncut. Therefore, I repurchased volumes 2 and 3, and, later on, the last six books as well. 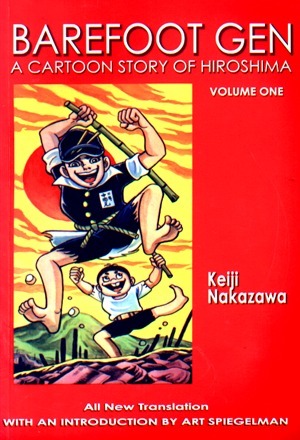 A semi-autobiographical tale inspired by mangaka Keiji Nakazawa’s childhood, Barefoot Gen tells the story of Gen Nakaoka, an elementary school-aged boy who survives the atomic bombing of his hometown, Hiroshima. By the end of the first volume, the bomb has dropped, and the story truly begins. Subsequent volumes find Gen making new friends, being discriminated against, and raging at not just the Americans who dropped the bomb and occupied Japan, but the Japanese Emperor and politicians who were so eager to wage war in the first place. It is, as noted in the always excellent ANN column House of 1000 Manga (spoilers in link), an angry manga, and sometimes, especially toward the end, Gen’s anger gets to be a little too much. The last few volumes are rather tedious at times, even as it explores the Japanese side of things during the Korean War; as a sign of the plot wearing thin, the final tragedy that befalls Gen and his group is one which, startlingly, doesn’t have much of a direct tie to the atomic bomb. Gen is also a violent manga; atomic bomb aside, it hews to the shonen manga tropes of its time, with lots of hitting and fighting, often between adults and children. Despite its pacifist message, seeing Gen so eager to physically fight people who dismiss his anti-war views is more than a bit disarming. Also, without giving anything away, in one of the later volumes Gen does something in the name of his personal philosophy that is so lacking of empathy and maturity it’s astounding. It’s an important manga, probably the best I’ve ever read about Japan during that era, but it’s also rather dated, and at least one of the included forewards was undesirably diversionary from the manga’s basic premise. It might’ve helped if the manga was broken up into chapters, as they were originally serialized, but instead, the manga flows together as one long story, broken up only by its separation into ten books. I recommend the first few volumes, but if you don’t want to stick with it after that, I really couldn’t blame you. After Gen was wrapped up, and between new volumes of Nisekoi (aka the harem manga for people who normally dislike harem manga) and the always charming and hunger-inducing What Did You Eat Yesterday?, more games were played! I started, and am still playing, a Japanese copy of Picross DS, which I picked up on the cheap during Play-Asia’s annual Spring Sale. There’s nothing much to say about it besides that yeah, it’s Picross, though the zoomed-in 15×15 puzzles took me a little getting used to, not to mention the menus in a language that I can’t understand very much of. Right now, I’m currently stuck on a couple of flower-themed puzzles in Normal mode, though I’m sure I’ll push through them soon enough. I also cranked through a few short games on Steam. First up was Escape Goat, a room-based puzzle game a la Adventures of Lolo and Toki Tori. It’s a solid entry in this genre, structured to encourage experimentation, and with precise controls and well-designed, if sometimes frustrating, puzzles. If you like this sort of game, as I do, you’ll like Escape Goat—enough said. 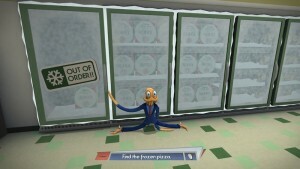 Second was Octodad: Dadliest Catch, whose controls were the opposite: intentionally difficult to master. This game, about an octopus trying to live as a normal suburban father in a nuclear family, revels in the ridiculous. Everyday tasks, such as mowing the lawn or picking out the perfect apple at the supermarket, are much harder when your arms and legs are tentacles and you want to blend in with actual humans. 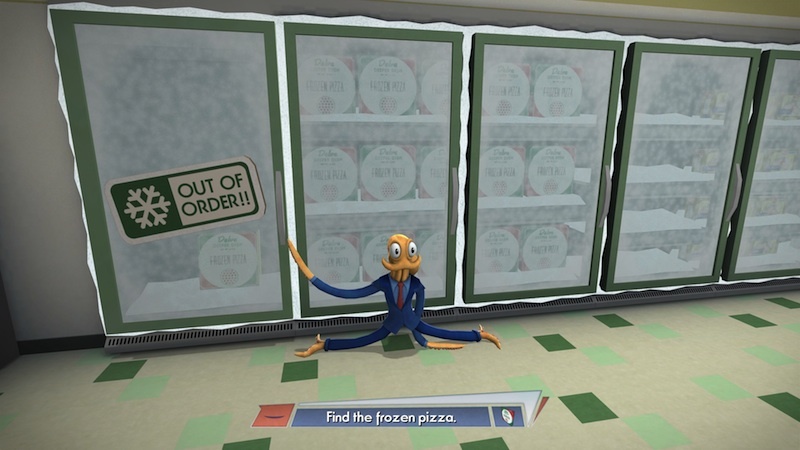 The story takes some interesting turns, and although I felt somewhat partially robbed of my final victory due to where a certain object landed, I found Octodad to be a neat little game overall. The pair of included bonus episodes were worth playing through as well. The third short game I played through before leaving for Portland was the shortest and least interactive of the bunch: a wordless visual novel called A Bird Story. Produced by the developer of To the Moon, this is a similarly sentimental journey. In it, a young boy, who goes through the motions at school and is interested in flight, rescues a bird. It’s kind of cloying at times, and because of that, whether or not you’d like this would depend on your natural tolerance for such things. Thankfully, the length is just right, and most everything about it is simple and straightforward. Now that I’m back, and catching up on my sleep, I think I’ll continue going through some other short games in my backlog, which I may or may not write about here. I also picked up Legend of Dungeon again recently, which has improved since the last time I played it, thanks to some patches. It’s now not as unfair as before, though it still lacks some of the refinement and balance of better roguelikes. Goat Simulator is also in my “Now Playing” list, though I’m not sure when I’ll go back to it. I also may start the last unplayed PS2 game I have left in my backlog (if you don’t count Valkyrie Profile 2: Silmeria, which I’ve put up for sale): Sakura Wars: So Long My Love. I may start that this week, depending on how I feel; we’ll see. At any rate, it’ll definitely get played sometime soon.